Now you can make a girl your girlfriend with just one simple date. Use the powerful SAC model to know exactly what type of date to give what type of girl. The One Date SAC System works with all types of girls: those who need connection; those who need arousal; and those who just want to hook up. 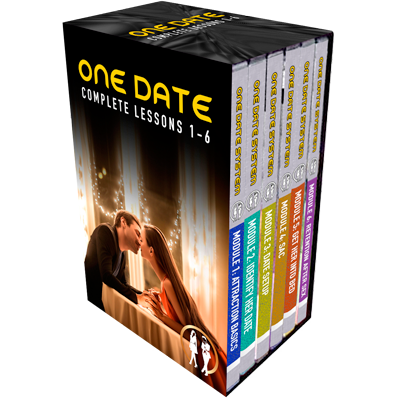 One Date shows you how to spot what a girl needs. And once you spot this? Just follow the steps and give her her date. It's easy to ask girls out on the One Date too: just use the Small Ask you'll learn inside the system. You're just One Date away from getting your girl. Learn the nuts and bolts of Chase Amante's teachings. Full step-by-step guidelines and exact how-to instructions to help you achieve greater success with women - and what's more, you can get started right away. The complete guide to texting. All Chase's best texting articles, cleaned up and organized in a single book. 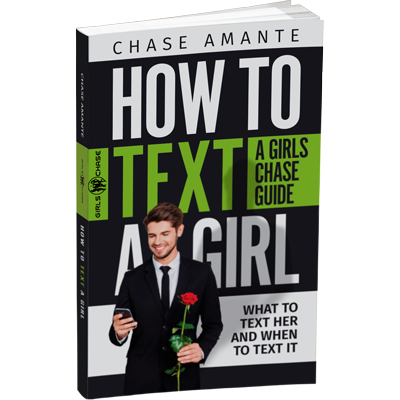 Also included: an expanded chapter on the check-in text... and a brand new chapter from Girls Chase author Colt Williams on texting girls you met online. 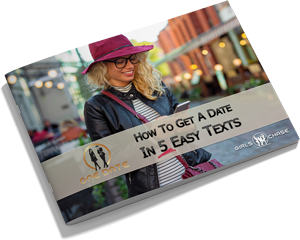 Just send a girl these 5 texts, and you'll line up the date with her. Includes details on why each text works, and example text messages. 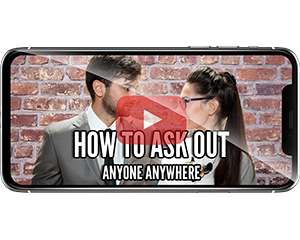 A video breakdown of strategies to use to approach women and ask them out in all kinds of situations. If it's crowded, her friends are around, or there's no easy way to reach her. If she's a waitress. If she's talking to another guy. Just use the strategies in this video, and you'll ask her out with ease. There are hundreds of ways to start a conversation with a girl. But which ways are the best? 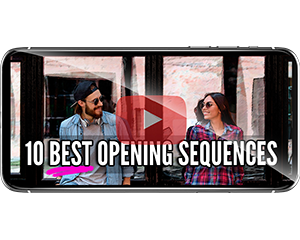 Chase gives you the 10 best openers you can use to start talking to a new woman. He tells you when the best times are to use each. And he even warns you about the one type of opener men like to use most... yet women least like to hear. 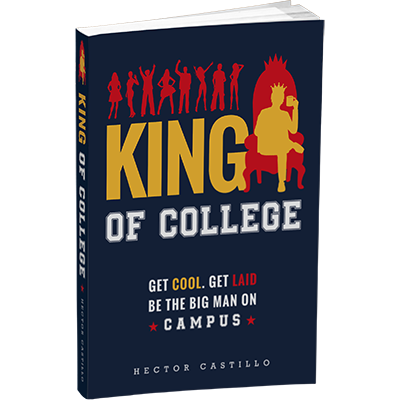 Hector Castillo shows you how to rock your college or social scene. President of his fraternity and lover of many a lovely coed and sorority girl, his methods make it simple to rise to the top of the pack. Choose to be a Big Man on Campus, a Slow Burner, or a Wild Card. Then manage the rumors and your reputation. And cash in your social stature for popular friends and sweet lays with eager girls. Your voice is one of your single biggest attraction factors. So how come nobody tells you to work on it? Probably because most of them don't know how either! 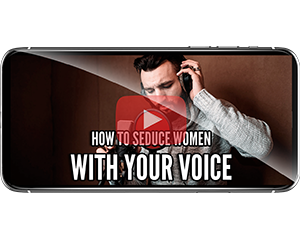 In "Seduce Women With Your Voice", you'll learn the same voice training techniques used by top voice coaches to train Hollywood stars and radio personalities. And you'll create a bolder, richer, and more sensual voice... one that allows you to command the respect of men and earn the desire of women simply by the sound of your vibrating vocal chords.